Do not use with water that is microbiologically unsafe or of unknown quality without adequate disinf..
Filters impurities down to .9 microns to provide premium protection against foul taste, odors, sedim..
For use with boats or RVs coming out of storage. Just one bottle freshens and deodorizes your fresh .. 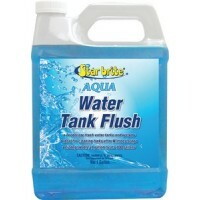 Eliminates algae and slime buildup from drinking water tanks. 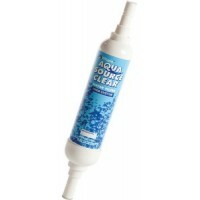 Just one ounce helps remove bad smells..
Large capacity filter lasts an entire season. Greatly reduces bad taste, odors, chlorine and sedimen..
Attaches inline to your hose to improve the taste and smell of your drinking water for up to 120 day..
Clean and deodorize fresh water systems with this safe, biodegradable formula. 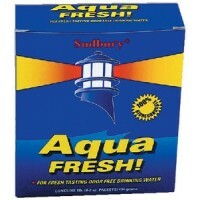 De-winterize fresh wa..
Cleans and deodorizes fresh water holding tanks and supply systems. Excellent for use after storage .. 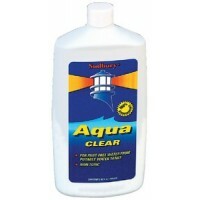 Prevents potable water from picking up smell or taste from water tank walls and pipes. Keeps water t..
For rust free water from potable water tanks. Also for use in automobile radiators, hot water heater..
For fresh tasting, odor free drinking water from fiberglass or metal tanks. Safe and non toxic. 100%.. 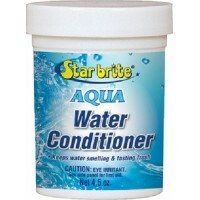 This slim, compact filter provides clear, fresh drinking water by removing unpleasant tastes and odo..